Alfred Smith, from the village of St Madoes in Perthshire, was born on March 29, 1908. Scotland's oldest person is celebrating his 111th birthday. Alfred Smith, from the village of St Madoes in Perthshire, was born in Invergowrie in 1908. The fifth of six sons to John and Jessie Smith, he was educated at Invergowrie Primary School and Harris Academy, Dundee. During the Second World War, he was in the Home Guard, and married Isobel when he was 29. 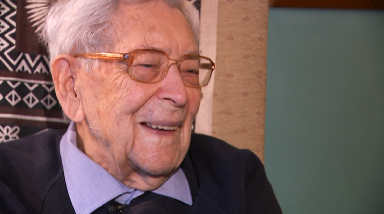 He shares a birthday with England's oldest man Bob Weighton, who was celebrating his 111th birthday at his retirement flat in Hampshire. 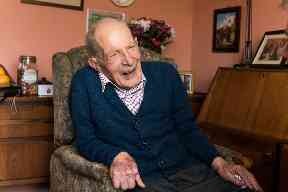 Asked for his secret to a long and happy life in a previous interview, Mr Smith said: "Porridge is helpful and having a job you enjoy. "I like to think I've lived a decent life. I do ask myself - why me? Why have I lived so long when others haven't?"